Kaunas Old Town has been decorated with a new artistic element. Sculpture called “Nežiopsok!“ located in Vilnius street tells a unique story. 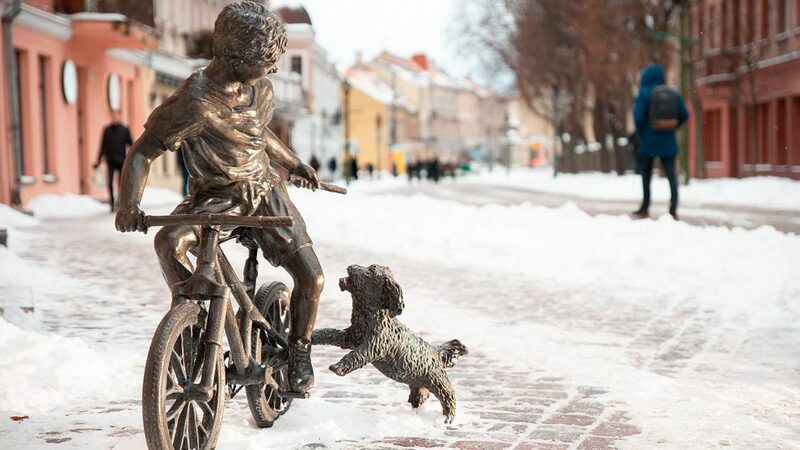 The sculpture in the form of a boy riding a bicycle and a dog chasing him was chosen by Kęstutis Balčiūnas not by chance – the sculptor aimed to humorously represent Kaunas Old Town urban development, by unfolding one historical period of the street, where the sculpture is located. The oldest street in Kaunas was part of middle ages road Kaunas Castle to the capital. In the middle of XIX c., then street restructuring started, Vilnius Street’s route was also modified, moving its eastern part to the north side towards Savanorių pr. After the restructuring of the town, a residential house was built on Vilnius street route and in 1985 years during reconstruction the old pavement was replaced with paving stones, which lied under the building. “This unique urban situation is worth to be more actively represented by artistic measures, this way making it more relevant and converting it to an interesting accent of the town. Sculptural composition “Nežiopsok!“ shows a child facing a dog. 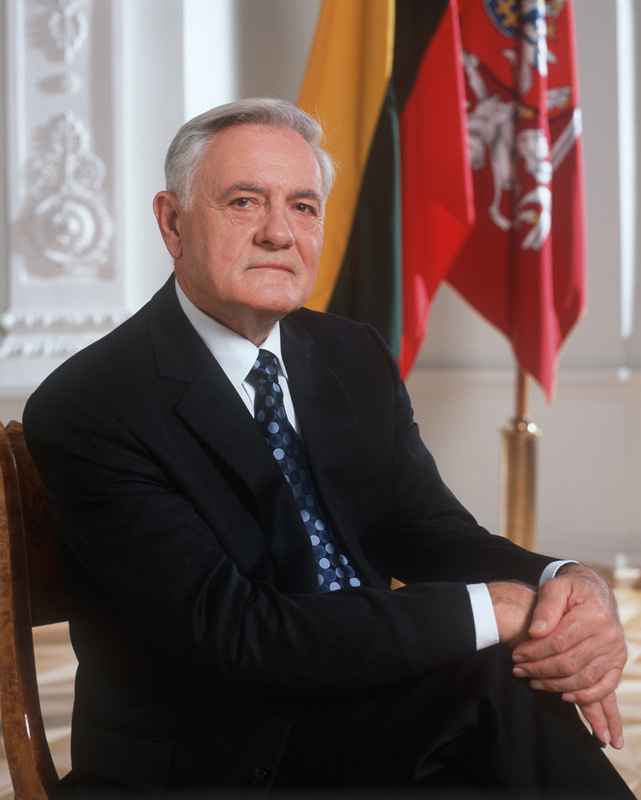 He rides on the old pavement of Vilnius street and does not see the building suddenly rising ahead of him. The observer is left intrigued – will the boy be able to notice an approaching wall and stop in time”, – the idea was commented by sculpture’s author K. Balčiūnas. “Kaunas Accents” is an ideas project having no analogues in Lithuania, which was started three years ago by Kaunas City Municipality. The participants of the project are able to decorate various parts of the city with their works and the most important aspects for the project are uniqueness, peculiarity, originality and art work’s overall harmony with the environment. “Planet X”, “Burning Stones” and “Race” is only a small part of the art pieces decorating the city. Since the begging of the project 18 art accents have appeared in various city locations.